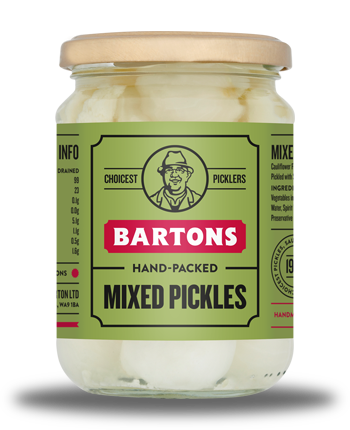 Bartons Mixed Pickled Onions in Vinegar is a pickle of onions, cauliflower and gherkin preserved with vinegar and salt. 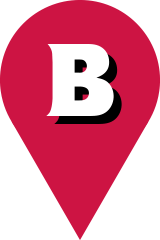 A favourite with salads, as a snack with cheese on toast, sandwiches and main meals. Great to add to and liven up potato salad or coleslaw. Vegetables in variable proportions (cauliflower (contains sulphites), onions, gherkins), water, spirit vinegar, acetic acid, salt, glucose syrup.